Hotel Catalonia Born, Barcelona. 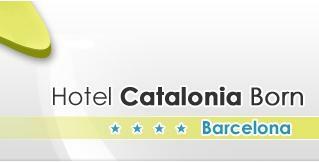 Catalonia Born Hotel Barcelona. In Born district, famous area for its artistic and lively character, here the Hotel Catalonia Born waits for you. The hotel lies in a splendid area in a central situation, with Park de la Ciudadela, Triumph Arch, Gothic Barrio and Plaza Cataluña far just at a few steps from our structure. Moreover, you will be welcomed in an original building of the 19th century, typical of the Catalan industry, which has preserved its identity thanks to a splendid restoration, transforming its characteristic patio in a sophisticated ambience, thanks to the skylight put over it and under which there are our marvellous common area (bar, restaurant and living room). Furthermore, our guests can enjoy free Wi-Fi internet connection. Let make you surprise by our gastronomic offer. We propose an abundant buffet breakfast, where you can find potatoes omelette and bread with tomatoes, as well as 3 different kinds of cheese and salami, dietetic products, sweet products and fruit. For your lunch and dinner, our restaurant offers seasonal dishes and an original menu. 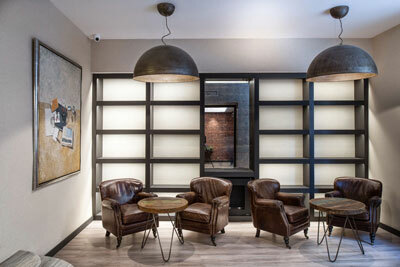 Finally, for your rest at the end of the day, enjoy a good glass of wine or coffee in our bar.